These transparent, round stands fit snugly onto your figures' feet. Give your figures the support they deserve! 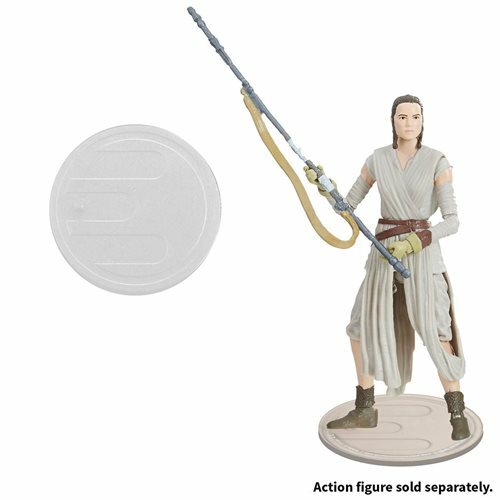 You're gonna love these clear action figure stands! Extremely durable and handsome, these round platforms look great and are transparent, to blend in better with your shelves and dioramas. Each measures 2 1/8-inches in diameter and features a peg that fits snugly into your figure's foot. Buy this 25-pack today and give your characters all the support they need and merit! Action figures sold separately. Stands fit most 3 3/4-inch Hasbro Star Wars (1995 - present), Hasbro Indiana Jones (2008), Hasbro G.I. Joe (2007 - present), Hasbro Marvel (2009 - present), and Playmates Star Trek (2009) action figures. Product and colors may vary. Star Wars and Indiana Jones are registered trademarks of Lucasfilm Ltd. G.I. Joe is a registered trademark of Hasbro. MARVEL, all related characters and the distinctive likenesses thereof: TM and © Marvel Entertainment, Inc. and its subsidiaries. Star Trek and related marks are trademarks of CBS Studios Inc. All Rights Reserved.